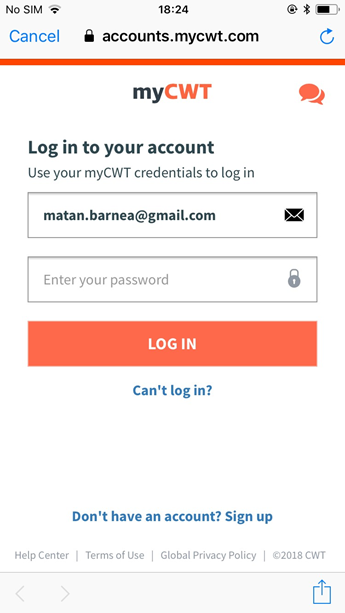 After downloading the myCWT app, use your CWT account information to log in. 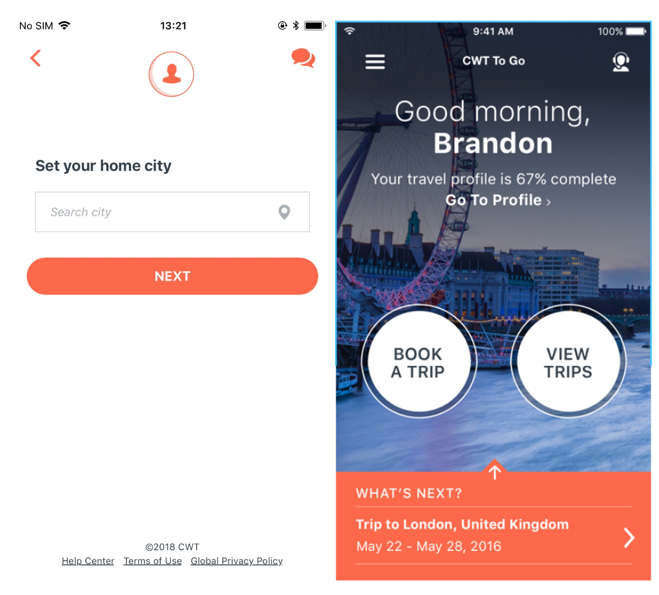 If you already access your travel account on myCWT.com with your email address and a password, you can just use the same credentials to log into the app. 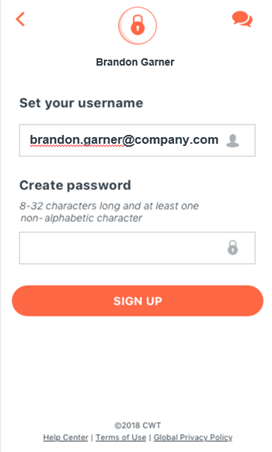 Note: if the username is identical to the work email entered in the Welcome page – the username field will be pre-populated with the email address. Otherwise, you will have to fill in your username. Users who registered to myCWT should use their myCWT credentials and are not required to register to the app separately. 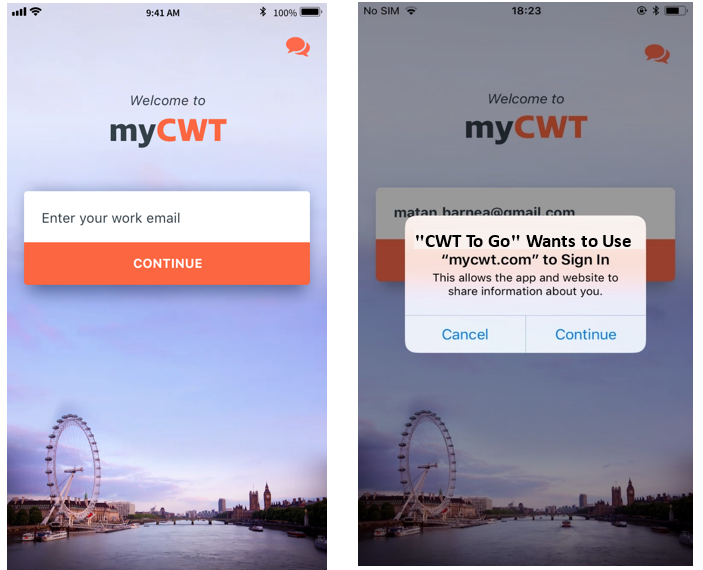 If you access myCWT website through your company intranet using SSO, you may still need to create an account in order to access it in the mobile app. The ability to access the mobile app using your SSO credentials is currently not available but will be during 2018. If this is the first time you log in -you will be asked for your Home City. And you are all set! At new Welcome Page enter your work-email. If you are not yet registered, we’ll send you sign-up instructions to your email. 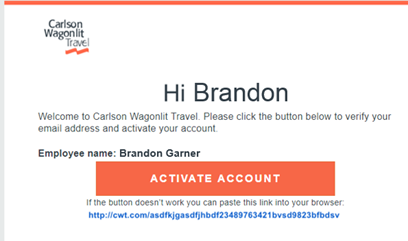 In the validation email, click on “ACTIVATE ACCOUNT”. Since it’s a first login - you will be asked for your Home City. And you are all set! 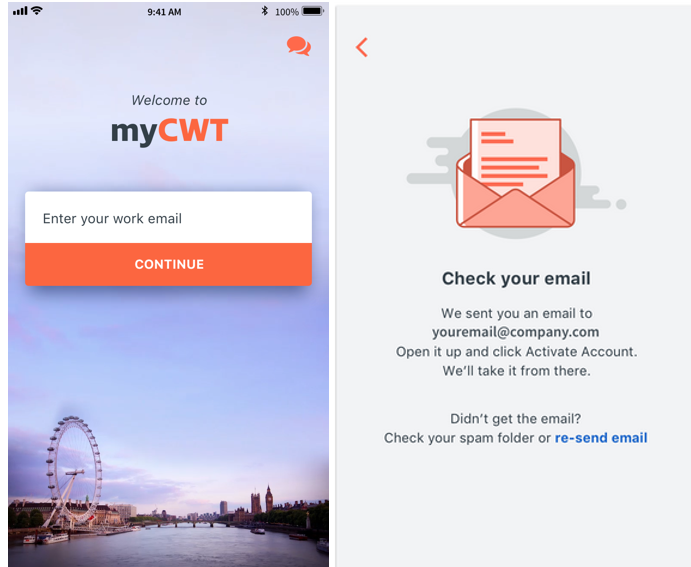 If you are trying to register or login to myCWT mobile app but receiving an error, please make sure that you are using the right work email and password. If you still can't log in, please contact our support team.